June | 2014 | Does This Font Make Me Look Fat? I know you are supposed to write everyday, but life gets in the way and sometimes life wins. 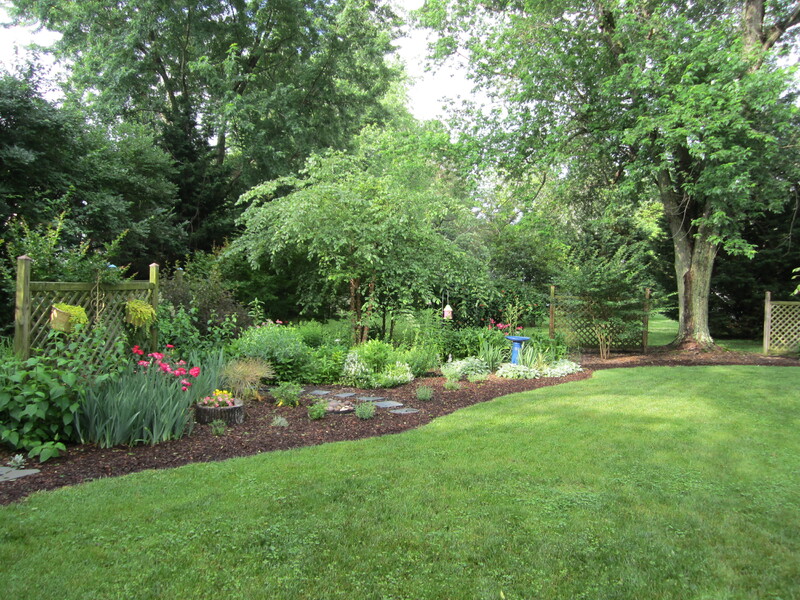 My garden was on a St. Michaels Woman’s Club garden tour on Friday and I was spending a lot of time weeding, edging, mulching – generally being more obsessive than usual. The day before the tour we had torrential rains which beat up a lot of flowers. But Friday was gorgeous and people loved my garden. This spring gardening has sometimes trumped writing. Laura runs a business (East Coast Flight Services) and she’s been busy with DOD contracts. A friend of hers has a very ill husband and Laura has been spending time at the hospital in Baltimore. Sometimes friendship should trump writing. It also trumped Laura’s fear of driving over the Bay Bridge. So Laura and I have been writing in bits and snatches. An hour here and there. Despite everything we are 75 pages into the new Christmas TV movie script. That’s in the last three weeks. This one seems to be writing itself. We’ll write until the end and then go back and fix what needs fixing.